This is also tied with his chapbook, Story Problems. WHAT BOOKS WERE ON YOUR LIST OF FAVORITES FOR 2017? Breaking and Holding by Judy Fogarty is set during what some call the golden age of tennis during the late 1970s when John McEnroe was an up-and-coming star and Jimmy Connors was at the top of his game. Patricia Curren is a beautiful woman who looks as though she’s stepped off of a magazine cover and in a way, she did after her husband discovered her and used her in a rebranding campaign when she was younger. A man bent on building his business and maintaining the perfect facade through intimidation, Jack Curren will stop at nothing to get what he wants while expecting loyalty and acquiescence from those closest to him. It’s clear that his relationship with his wife is far from blissful, and something is about to break. The Curren’s take a trip to Kiawah, S.C., to their beach house, and when her husband returns to New York for work, she stays behind. She’s looking to change to become stronger, to break out of her melancholy and aloofness, and to be more like Jack’s assistant Lynn. Here Patricia transforms into Tricia with the help of Terry, a summer camp teacher who wants to be a professional tennis player on the circuit. Both are broken and both find that they can repair themselves through the uncomplicated love they have for one another, but the secrets they hold threaten to break apart everything. Fogarty has created a set of deeply flawed, broken characters who must make peace with their own pasts in order to move forward. The tennis matches mirror the volleying between Tricia and Jack, Tricia and Lynn, Jack and Lynn, and the volleys between Tricia and Terry, Terry and Baze (his friend), and Terry and Nona (a woman interested in sponsoring his pro career). Told from Lynn’s point of view, readers are pulled into the mystery of these relationships, and the tangled webs they’ve all created until they nearly strangle one another. Each has to decide when the tipping point is and when to take a chance and go to the net for match point. Judy Fogarty lives, writes, reads, and runs on the historic Isle of Hope, in her native Savannah, Georgia. She holds a Master of Music degree from the University of Illinois and has served as Director of Marketing for private golf and tennis communities in the Savannah/Hilton Head area, including The Landings on Skidaway Island, Berkeley Hall, and Callawassie Island. She is a devoted (even rowdy) tennis fan as anyone who has ever had the pleasure (or displeasure) of watching a match with her will attest. Breaking and Holding is her debut novel. She is happily at work on her second, and as always, enjoys the invaluable support of her husband, Mike, and children, Colin and Sara Jane. Visit her Website, Facebook, or Twitter. To Enter for 1 copy (US/Canada addresses only; age 18+): Leave a comment about who your favorite tennis player is and an email. Enter by March 22, 2017, at 11:59 PM EST. 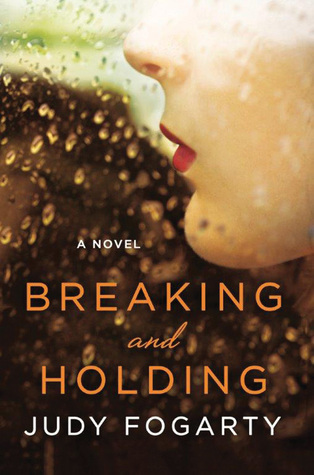 Breaking and Holding by Judy Fogarty for TLC Book Tour. For Patricia Curren, the summer of 1978 begins with a devastating discovery: an unfamiliar black pearl button in the bed she shares with her controlling husband, Jack. Seeking the courage to end her desolate marriage, Patricia spends a quiet summer alone on beautiful Kiawah Island. But when she meets Terry Sloan, a collegiate tennis player trying to go pro, their physical attraction sparks a slow burn toward obsession. Once Patricia and Terry share closely guarded secrets from their pasts, they want more than a summer together. But their love soon fractures, as a potential sponsor takes an unusually keen interest in Terry—both on court and off. And when single, career-driven Lynn Hewitt arrives, other secrets must surface, including the one Patricia has kept from Terry all summer. An intimate portrait of the folly of the human heart, Breaking and Holding explores buried truths that are startlingly unveiled. What’s left in their wake has the power not only to shatter lives…but to redeem them. 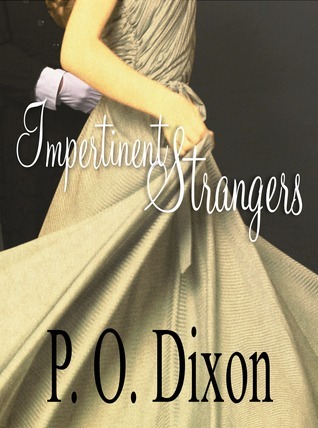 Impertinent Strangers by P.O. Dixon, an Audible gift from the author. An impertinent stranger is thrown into Fitzwilliam Darcy’s path and, even though he declares her tolerable but not handsome enough to tempt him, it is all he can do not to think of her. Upon first making Mr. Darcy’s acquaintance, Miss Elizabeth Bennet is quite fascinated with him. Then she discovers that the gentleman is haughty and above his company, and she wants nothing to do with him. Still, the prospect of spending time in each other’s company is beyond their power to resist. Will Darcy and Elizabeth stop denying the truth to themselves and find in the other what’s been missing in their lives?